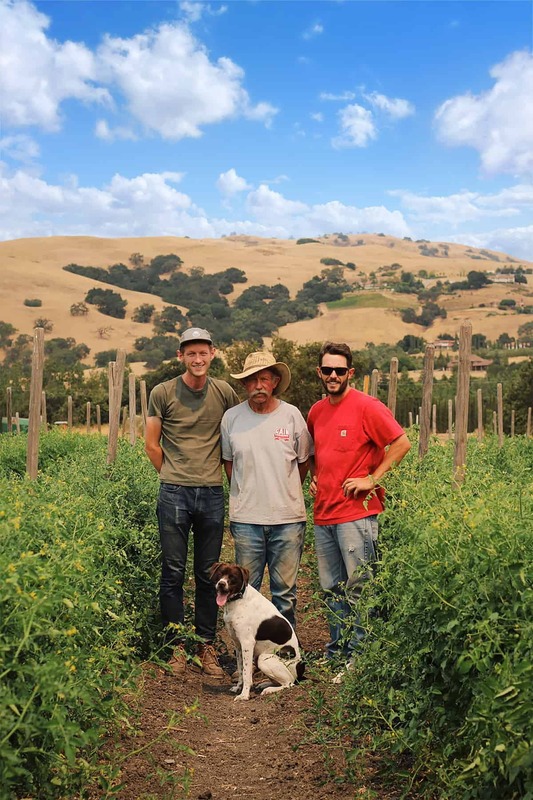 Farming is a family affair for Sam Thorp who farms alongside his father Mike and brother Nick on their organic San Martin farm. In 2010, they started leasing 10 acres of farmland with an eye on growing healthy, organic food for Santa Clara County residents and they have not since looked back. They’ve added another 27 acres of farmland and increased production since then. Sam took a few moments out of his very full day to share some of his thoughts on farming. Sam: Today we are packing and harvesting product for the farmers market this weekend. Sam: Every day is different, and every day brings its own set of challenges. You need to be able to think on your feet and be able to work through the challenge of the day. We have to look at farming long term and see how we can work as a team to produce the best crops and stay profitable. It’s good to have a long-term type perspective. Sam: We do vegetable donations with local nonprofits and we do educational workshops. Though our restaurant program and our restaurant sales, we bring the community together and encourage local businesses to support each other. We really focus on the abundance of produce grown here in South Santa Clara County. The county has lost a lot of farmland, and we are proud to showcase the abundance of crops still being grown here. We believe that relationships with local restaurants are a key part of strengthening our food community and creating a culture around food that is unique to the South Bay Area. Sam: I grew up in a farming family. My dad was in farming his whole life. Growing up I never saw myself getting into farming long term, even though I worked on the farms through school. Throughout college I started to work in a lot of restaurants. It was my love of the restaurant business and food that brought me back to farming. Being able to see that side of the produce industry was really inspiring. Sam: That’s a tough question. I like to go running and spend time with my wife and my dog. I like gardening too. Like a lot of farmers, we throw ourselves into our work and it becomes more of a lifestyle. Sometimes it is challenging to find the time outside of the farm. Sam: You just have to keep on keeping on. Every farmer hits some challenging times. There are real highs and lows and you just have to push through the low times. Network and ask for advice from farmers both near and far. Farmers like to share so reach out and take advantage of their knowledge. Sam: We have some on-site beehives and we think that’s really important for promoting bee health and it’s great for the crops. This year we are starting a cut flower program to add more diversity onto the farm. Diversity is a key part of sustainability, and implementing that diversity into strict crop rotation and organic principles.